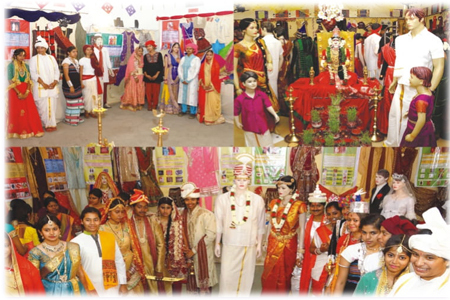 The Department of Textiles and Clothing was established in the year 1967 with the purpose of providing world class education in the field of Textiles. The department has industrial and academic collaborations and this has positioned the department as the highest stride of progressive changes and innovations along with imparting discipline, creativity and tradition. The course has been designed to focus on textile fiber, yarn, fabric, quality control and testing with knowledge on wet processing of textiles including the dyeing and printing. Advances in the field including the application of computers in fashion and garment industry, marketing, merchandising and entrepreneurship development, eco-friendly textile production, technical textiles are given limelight syllabus. The department has 12 faculty members consisting of 2 Professors, 1 Associate Professor, 4 Assistant Professors, 2 Temporary Assistant Professors and 2 Temporary Teaching Assistants who strive to give excellence in Teaching and Research. The on and off campus placements are very good and students are mostly employed as Assistant Professors, Research Associates, Fashion and Celebrity designers, Entrepreneurs, Boutique heads, Fashion illustrators and designers, Jewellery Designers, Quality control managers and supervisors, Store in-charge for international fashion brands and Visual merchandisers. University Grants Commission sponsored a major project under SAP-DRS : Exploring Under Utilized Bio- Resources for Eco and Technical Textiles. Experienced faculty members who have completed their doctoral degree and NET and SLET help the students to achieve their dreams in the areas of fashion, textiles and clothing. The department has signed MoU with the Textiles committee and J.D. Birla Institute that facilitate the students during their research period to have collaborations. The alumni of the department are placed in various top institutions both in academic arena and industries as professors and designers, quality control personal, merchandiser, illustrators respectively and also as successful entrepreneurs across the country and globally. "Medical Textiles" in collaboration with South Indian Textile Research Association (SITRA), Ministry of Textiles, Govt .of India. Coimbatore. Certified Quality Professionals under Industrial SDS, Textiles Committee, Ministry of Textiles, Govt. of India, Coimbatore. 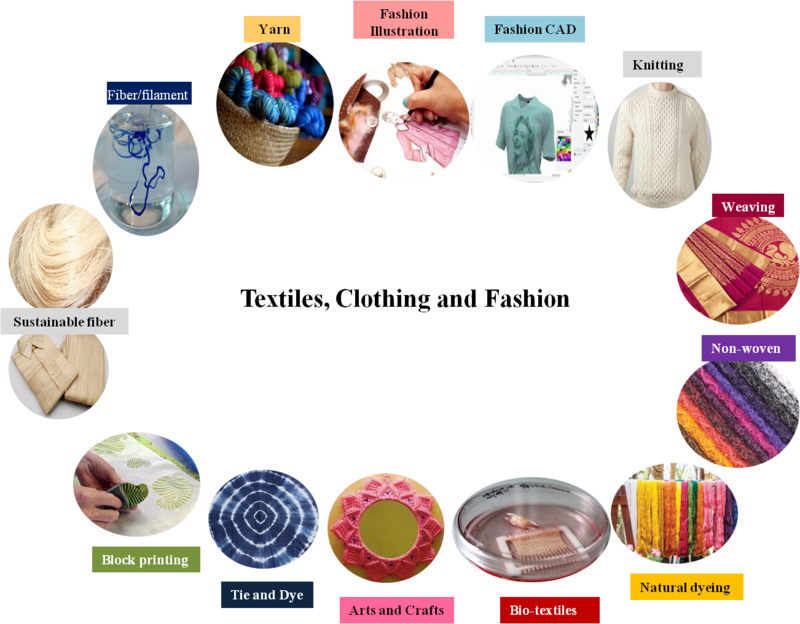 Silk Dyeing, Printing &Finishing, Silk Dyeing, Printing & Process Control, Physical and Chemical Testing Methods of Textiles Materials with Central Silk Training Research Institute (CSTRI), Ministry of Textiles, Govt of India, Bangalore. Designing and Constructing Leather Goods in association with Footwear Design & Development Institute (FDDI), Ministry of Commerce, Govt of India, Chennai. UGC Project "Production of courseware e-content development for PG subjects- Home Science. "Microwave-Assisted Extraction and Dyeing of Silk with Natural Dyes"
"Empowering Rural Women through Skill Based Training in Printing and Surface Enrichment on Textiles"
"Natural dyes for Printing on cotton and silk"
"Recycling of textile and agro-wastes into handmade paper "
Development and evaluation of non woven wound dressing with herbal finish. Spinning, Weaving, Knitting, Dyeing and Printing units in Tirupur. Dr. N. Vasugi was awarded the "Distinguished Accomplishment Award in Textiles by Texas Tech" Bannari Amman Institute of Technology on 9th December 2009 in International Conference on Advances in Textiles Machinery, Non-woven and Technical textiles (ATNT) Coimbatore, held on 14th -16th July 2008. Distinguished Accomplishment Award in Textiles was given by Texas Tech University (USA) and Bannari Amman Institute of Technology on 9th December 2009 in International Conference on "Advances in Textiles Machinery, Non-woven and Technical Textiles" Coimbatore, held on 14 th -16 th July 2008. Dr. S. Amsamani Received "Best Research Scientist" award in the 28th Biennial National Conference on Impact of Social Change and Technological Advancement on Family and Community, JD Birla Institute, Kolkatta on 7.01.10-9.01.10.